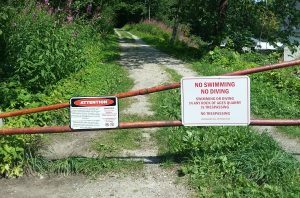 Users of the Grand Lookout trail will notice some new signage on the gate, indicating more clearly that swimming (and particularly cliff-jumping) is prohibited on the private property of Rock of Ages quarries. We kindly ask all visitors to respect these laws! It’s trespassing, not to mention highly dangerous. This is the second year in a row that people have been seriously injured from ignoring these rules. 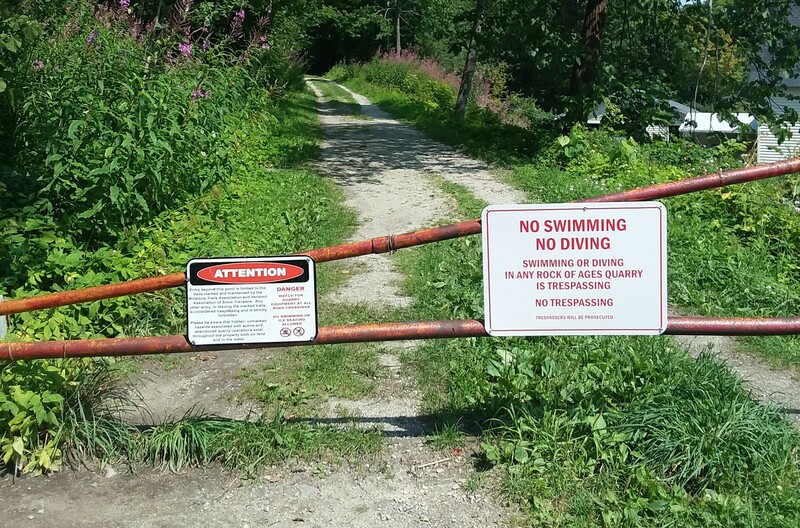 This matters to you because use of all of the trails on Rock of Ages property is contingent on ROA deeming it suitable to continue to allow access. Help us keep these trails open and accessible to all by respecting the law while creating a culture of respect for the landowner that allows us all access to these amazing areas!